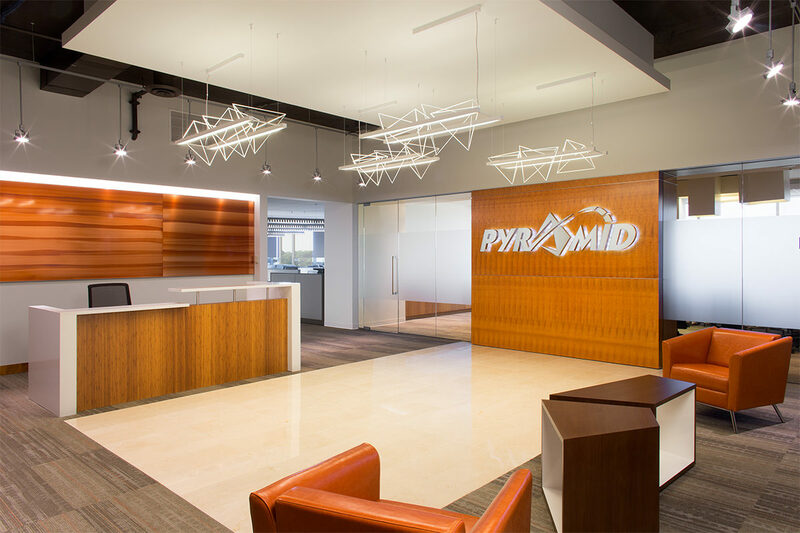 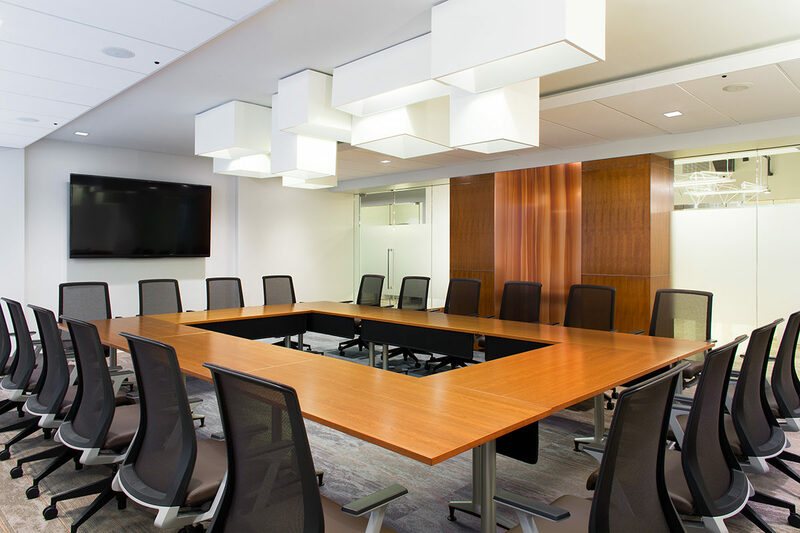 Pyramid Systems needed a new office that would accommodate their growing staff. 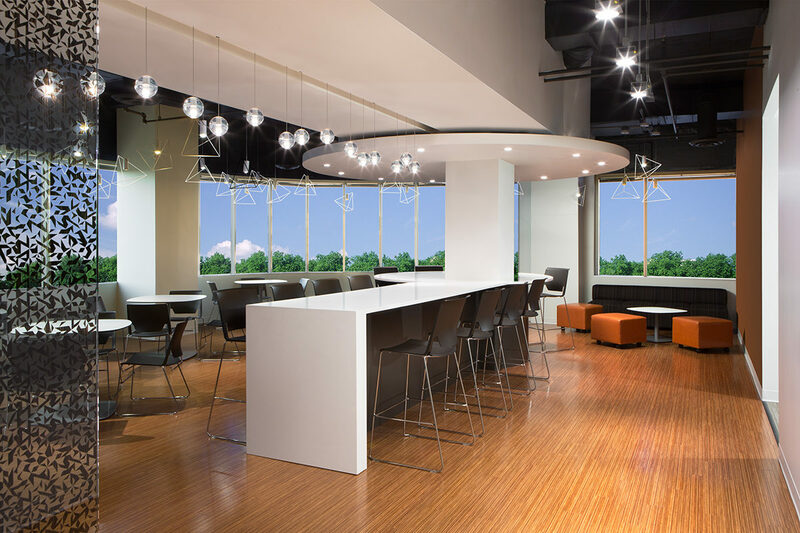 To maximize space, an open workstation floor plan was selected which was a new concept for many of the employees. 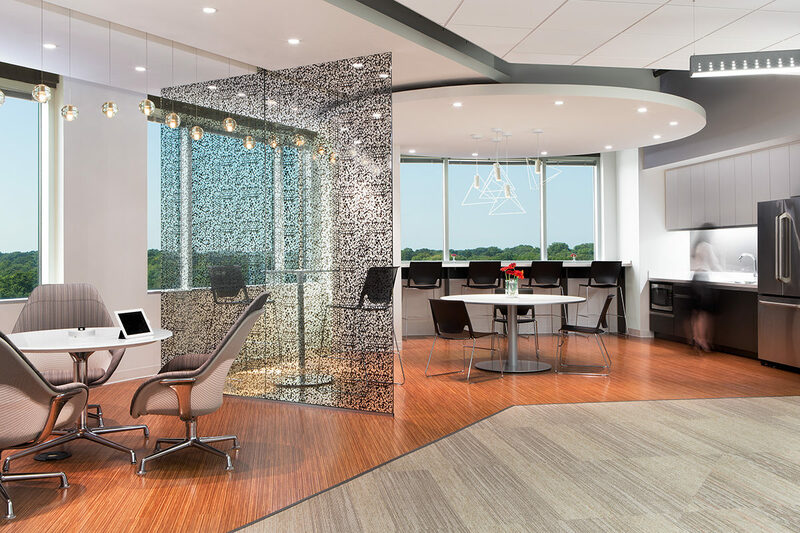 Designers took this into consideration when formulating a mixture of privacy and openness which was reflected through the usage of materials and positioning.